Approximately 85% of companies will invest extensively in artificial intelligence over the next three years, but only 17% are ready to manage a workforce made up of artificial intelligence, robots, and people. As industries journey towards the Fourth Industrial Revolution, where people and robots will work together seamlessly, it’s becoming more important than ever for organisations to integrate artificial intelligence (AI), robotics and the internet of things (IoT) into their digital game plan. However, much like policy makers, business leaders are struggling to keep up with these advancements. They’re failing to leverage technology in areas such as human resources, payroll and workforce management. According to Deloitte’s Human Capital Trends Report 2018, almost 95% of organisations worldwide don’t know how to manage their workforce effectively. It’s a confronting statistic and it’s one Jarrod McGrath, founder and CEO of strategic workforce management consultancy Smart WFM, has set out to change. 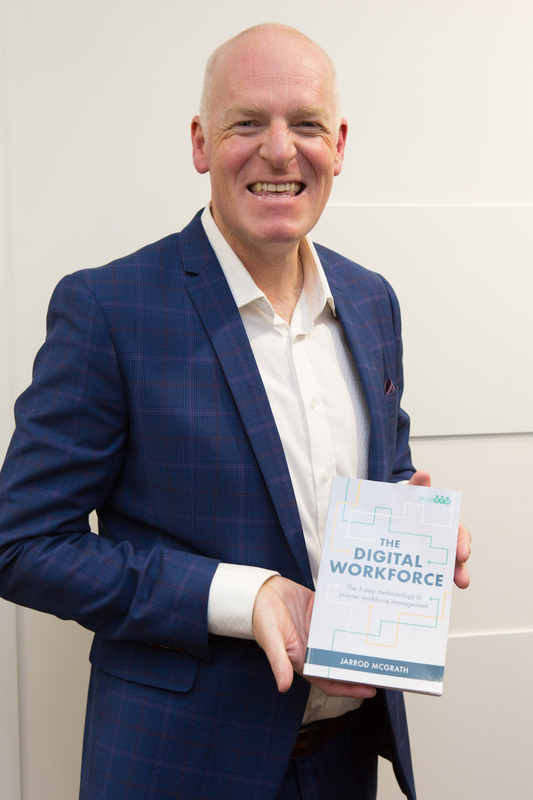 In his new book The Digital Workforce, Jarrod outlines a five-step methodology – Align, Prepare, Implement, Track and Measure – to help organisations understand and enact smarter workforce management. The Digital Workforce teaches important lessons on how true organisational optimisation can solve problems all the way from profitability to customer retention. Launched on 2 May 2018 at Atlassian’s Sydney headquarters, the book is a compilation of Jarrod’s 20 years of industry experience in operations research, consultancy and client interactions. 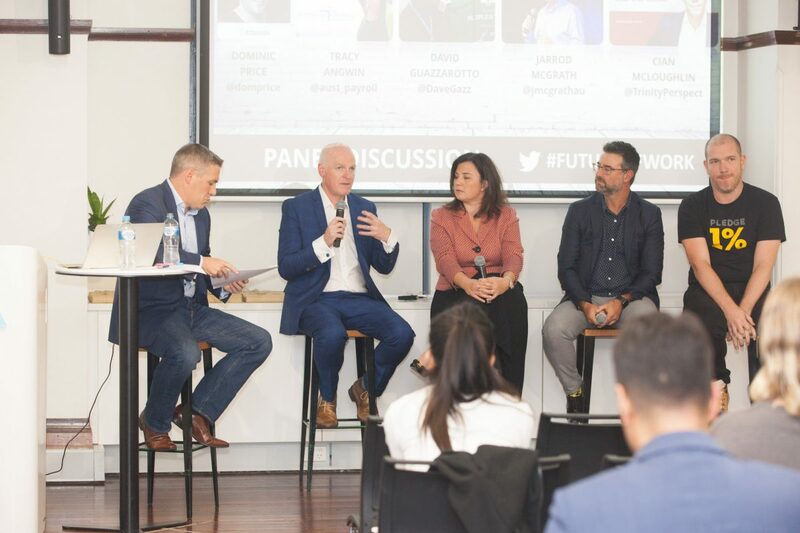 Joining Jarrod at the book launch and panel discussion was Dominic Price, Head of R&D and Work Futurist, Atlassian; Tracy Angwin, CEO, Australian Payroll Association; David Guazzarotto, CEO, Future Knowledge; and Cian McLoughlin, CEO, Trinity Perspectives. “The world around us is changing at an epic rate and if we end up in a position of status quo, we are going backwards,” explained Domini at the event. Jarrod argues the case that smarter workforce management can enhance profitability, employee experience, customer experience, compliance, brand awareness and organisational maturity. He believes retail, health and service businesses have the most to learn, but also the most to gain from better workforce management – and that AI will play a huge role in this transformation. “AI sparks a number of fears, from a ‘Terminator-style’ apocalypse to the threat it poses against jobs. It will put certain roles to the sword, but it can also free up workers from laborious and repetitive tasks,” says Jarrod. Included in The Digital Workforce are interviews and analysis from experts including Georgegina Poulos, Global Director People, T2 Tea; Aron Ain, CEO, Kronos; and global AI futurist Matt Michalewicz. All proceeds from the book launch and a percentage of book sales will be donated to the Cathy Freeman Foundation as part of Pledge 1% – a global movement encouraging businesses to add ‘giving back’ to their company’s DNA.